Elasticizer Extreme is an intensive pre-shampoo conditioning treatment that helps restore moisture and prevent breakage. Ideal for very porous, thirsty hair. Elasticizer Extreme is targeted at a very specific hair type: extremely dry, porous and very thirsty! 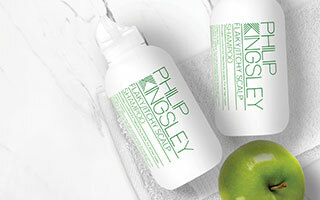 Specifically formulated for African-Caribbean or Caucasian hair that is exceptionally processed and damaged, this product provides instant replenishment, hydration and nourishment. Elasticizer Extreme has all the moisturizing ingredients of Elasticizer, with higher active doses of the components that can really make a difference to very dry, porous and thirsty hair. Not suitable for fine, non-processed hair. Fragrance free. Use once a week as a minimum for best results. Aqua (Water), Ricinus Communis (Castor) Seed Oil, Cetearyl Alcohol, Glycerin, Propylene Glycol, Olea Europaea (Olive) Fruit Oil, Ethylhexyl Dimethyl PABA, Amodimethicone, Polyquaternium-37, Diazolidinyl Urea, Silicone Quaternium-18, Propylene Glycol Dicaprylate/Dicaprate, Trideceth-12, Trideceth-6, Cetrimonium Chloride, Hydrolyzed Elastin, PPG-1 Trideceth-6, Phenoxyethanol, Sodium Benzoate, Citric Acid, Potassium Sorbate, Ethylhexylglycerin. 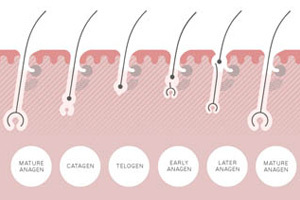 African-Caribbean hair is the most vulnerable to damage of all hair textures due to its unique structure and specific processing, styling and grooming needs. African-Caribbean hair requires special care and use of specifically-formulated products in order to look, feel and be at its best. The hair shaft of African-Caribbean hair is flat with a twisted structure and a thin diameter. Where these ‘twists’ occur, there is a change in the width of the hair (think of what happens when you bend or twist a straw). These twists and curls are weak points along your hair, and this is one of the reasons why African-Caribbean hair breaks so easily. Because African-Caribbean hair is curly, it also tangles easily. Trying to de-tangle it can worsen hair breakage if you’re not careful and pulling may also lead to traction loss, so be as gentle as possible. Start at the ends and work up to your roots with a wide-tooth comb.